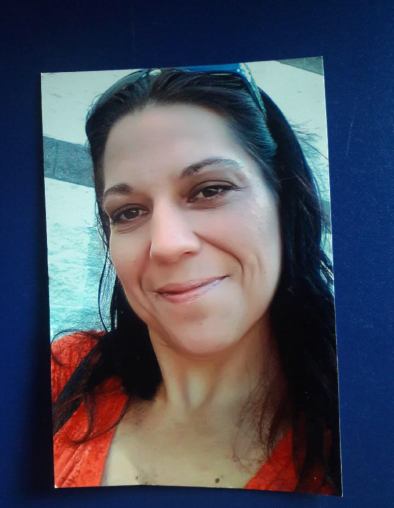 Stefanie Marie Ovile, 36, a loving mother, sister and daughter, died unexpectedly on April 6, 2019 in Ocala, FL. She was born into this life on March 16, 1983 in Charlotte, NC. She attended OakCrest Baptist Church in Ocala. Stefanie was the daughter to Stefano Ovile and Vickie (Mitchell) Bishop. Stefanie grew up in Ocala and enjoyed writing poems and putting different things together. She enriched many lives with her positive energy and was a loyal good hearted soul who will be greatly missed by all her family and friends. Stefanie leaves behind her fiancé, John Pyke, Jr.; her sons, Tyler Nelson, Andrew McGill and her daughter, Kimberley Nelson; her sisters, Christine Sabb, Sherry Teague; her half sisters, Patrcia Navarro, Monica Baughman and her niece Francesca Grubb. Memorial Contributions can be made in Stefanie’s memory to your local Homeless Shelter or soup kitchen. Memorial Services will be held on Thursday, April 11, 2019 at Roberts Funeral Home of Dunnellon at 2:00 PM.